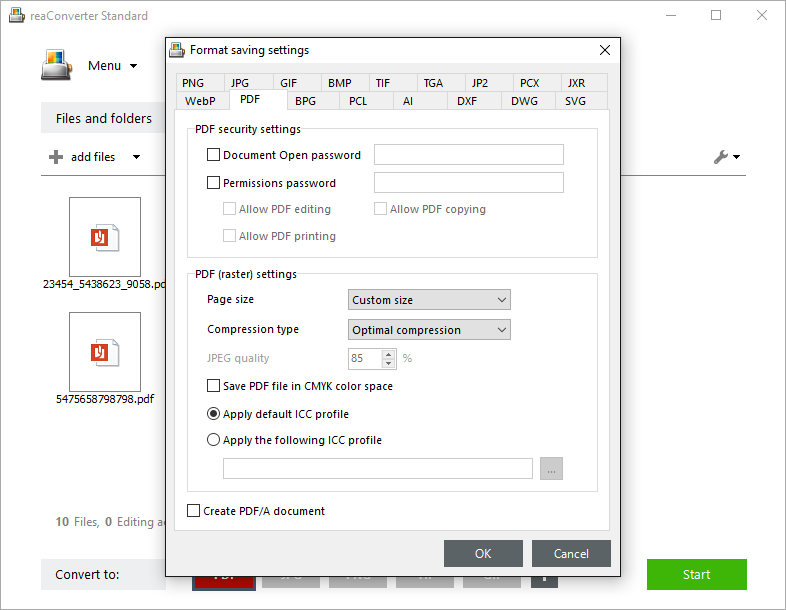 Securing your PDF files might be very important when you work with sensitive information or when you want to protect them from unauthorized use. 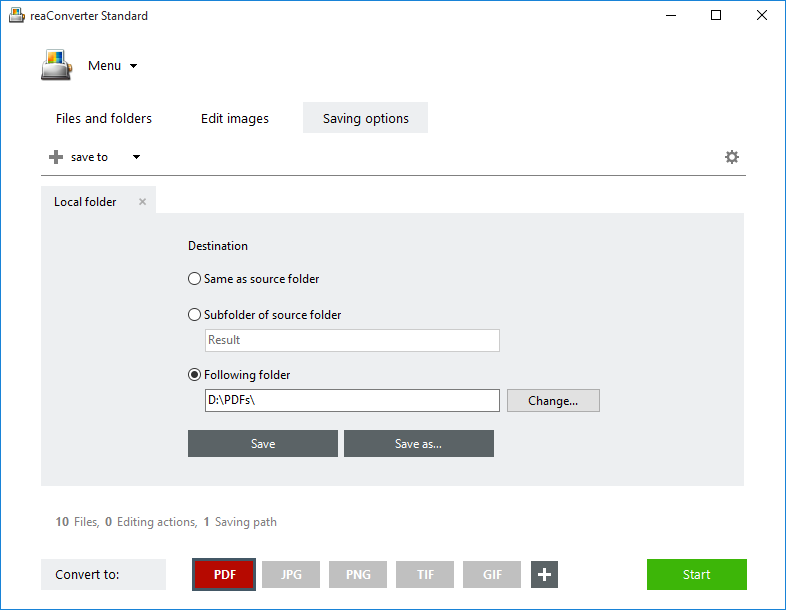 Whether you want to add a password for opening PDF files or control who can print or edit them, reaConverter helps you apply effective security settings fast and easy! Open one or more files you intend to convert into secured PDFs. Add them manually or use the handy drag-and-drop tool. And then go to the PDF tab. In the PDF Security Settings section you can enter a password for opening the output PDF files and one for allowing various actions applied to it — printing, editing or copying. When you're done, don't forget to click OK to save your options. Finally, go to the Saving options tab and choose a location for your output PDFs. 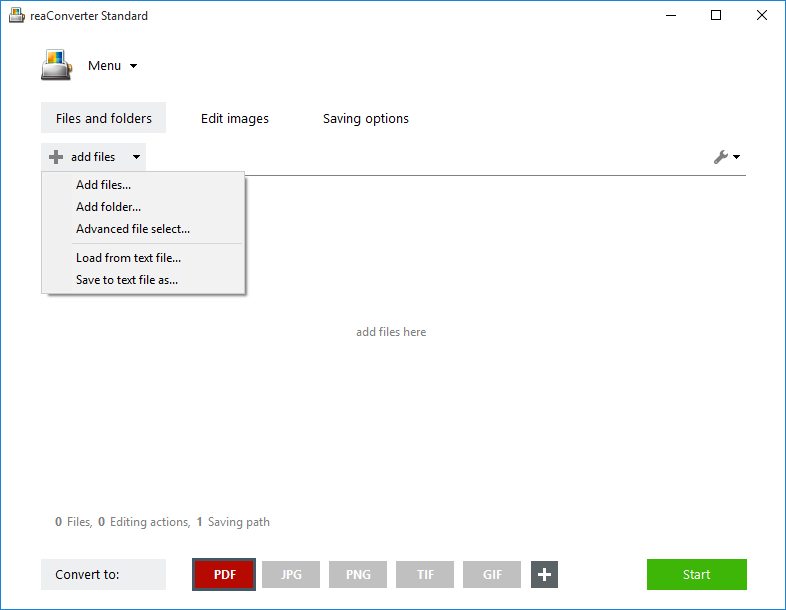 For easier access, save them in the source folder, in a newly created subfolder, or in a customized location. 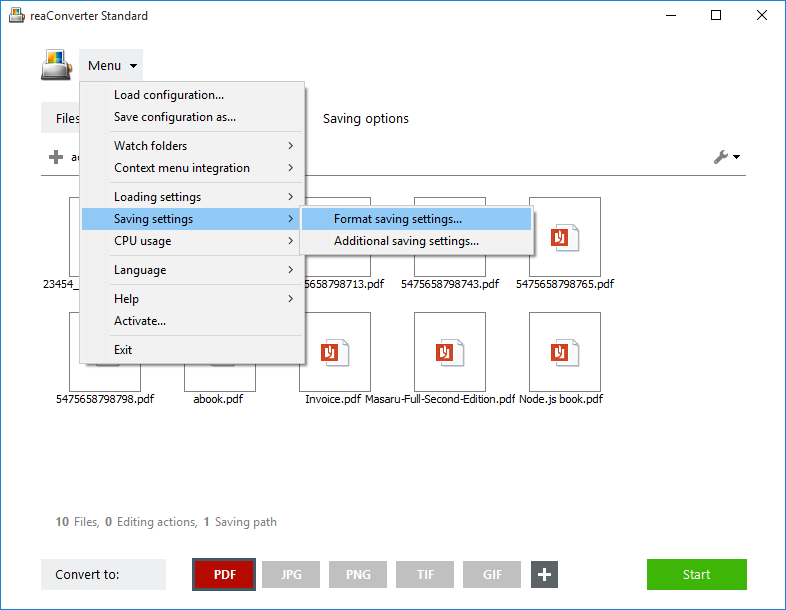 Next, pick the PDF output extension from the buttons placed in the lower part of the window and simply press Start. Your newly secured PDFs will soon be ready!